Volvo is known for producing some high class luxury cars, which make no mistake in defining premiumness and lavishness. Volvo S 80 V8 AWD is one of the cars that define luxury from every angle. This model by Volvo is blessed with strong and dynamic 4.4 litre V8 petrol engine that is capable of producing high power and torque. The six speed automatic transmission coupled with the engine inside is one of the best things. This not only enhances the overall performance of the car, but also makes sure that the driver gets an amazing experience while driving this car. Due to this combination, the car’s mileage is decent and for a premium car like Volvo S80 V8 AWD, delivering 5-12kmpl of fuel economy is not bad at all. Moving on from technical stuff, the exteriors of the car are terrific. The car’s exteriors are a perfect amalgamation of style and elegance. The smooth and stunning silhouettes grab your eyeballs in a single glance. Coming to the interiors, Volvo S80 V8 AWD comes with every luxury feature that you could think of. The automatic climate control, leather wrapped multifunctional steering wheel, automatic transmission, comfortable seats, manually controlled ORVMs, front seats and more would lure you in this car. However, Volvo S80 V8 AWD price might seem a bit high for a regular car buyer, but if you are longing for luxury than this one might turn out to be the perfect choice. 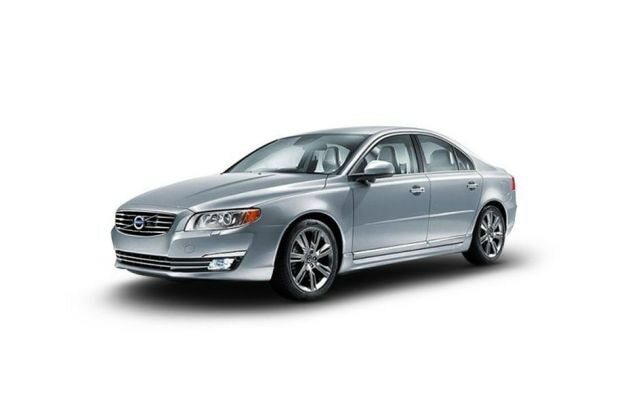 Talking about the exteriors of Volvo S80 V8 AWD, they will not disappoint you at any cost. When you look at the car, the first thing that catches your eye is the broad and shiny headlamps along with the stylishly designed bonnet. The grille is very attractive and is finished with chrome. The fog lamps are positioned correctly and help the driver to see better in foggy and rainy season. The Xenon headlights also give high vision during the night. The side profile of the car is blessed with smooth frame with body colored door handles and ORVMs . The ORVMs are also embedded with turn indicators. On the other hand, the rear profile of the car doesn’t let down at all. The LED tail lights are shaped perfectly and enhance the overall appearance of Volvo S80 V8 AWD. On the inside, Volvo S80 V8 AWD is loaded with posh and lavish material. When you step inside the car, it has high class materials used for the interiors. Modish design and the five-star suite feel would take your heart away. The funky dashboard puts a little more life into the interiors. The audio controls mounted on the steering wheel are positioned ideally, which gives a clear vision to the driver. The instrumental cluster comes with tachometer, trip computer, clock and temperature gauge. The power steering wheel has 4 spokes and is covered in high quality leather and classic wood touch with silk metal inlay . On the other hand, the gear knob will also have a hint of leather and a bit wood trim. The audio system has also been given a posh appearance. The soft leather upholstery used for the seats make the interiors much more amplified and sophisticated. The chrome ring around the control switch is impressive. The comfort of Volvo S80 V8 AWD is top class. The seating arrangement inside is perfect and the driver’s seat is adjustable electronically with memory. The system of memory is further linked to the remote central locking controls. The rear seat is foldable; therefore more space can be created at the rear. The front, rear and driver’s seat are accompanied by the heat system, which could turn you cold nights and morning utterly comfortable and warm. To amplify the comfort in the car, the front seat in Volvo S80 V8 AWD is equipped with a massage chair and ventilation function. The huge boot storage space is perfect in its own away. The storage pockets on the front door panel can fit in miscellaneous small items. The power windows, air conditioning with automatic climate control, rear AC vents, rear wiper comes as standard comfort features in the car . Under the bonnet, Volvo S80 V8 AWD comes with a powerful and sturdy 4.4 litre of V8 petrol engine. this engine has a displacement of 4414cc and has the ability to give put peak power output of 315BHP at the rate of 5950rpm along with churning out maximum torque of 438Nm at the rate of 2950rpm. this engine has been coupled with six speed automatic transmission, which makes the car deliver some decent mileage figure of 5.5 kmpl on the city roads and 12 kmpl fuel economy on the highways . The car is an all wheel drive, which means when accelerated; the power is sent to all four wheels and the engine zooms away the car with a top speed of 250kmph. It takes merely 6.5 seconds to go from 0 to 100 kmph speed mark . The braking and handling of Volvo S80 V8 AWD is perfect in its own ways. The brake system here is enhanced by the presence of ventilated disc brakes for both front and rear. This is further improved by Adaptive brake light, Hydraulic brake assist and Ready alert brakes . Furthermore, Hydraulic brake assist permit the driver to stop the vehicle in the shortest distance with the help of inbuilt vacuum and hydraulics. The other features like ABS, EBD comes as standard. The handling of the car is also one of the best things and the credit for this goes to its awesome suspension system along with power steering wheel. The car is fitted with 2 step airbags at driver and passenger side and SIPS airbags along with Whiplash Protection System (WHIPS) which provide support to the spine and neck in a balanced way. the car also comes with IDIS Intelligent Driver Information System, Personal Car Communicators (PCC), central locking, electrical child lock, level sensor and many more . the body frame is strong enough to absorb maximum pressure when in accident or collision.